Another year of the Consumer Electronics Show (CES) has come to an end. The convention to kick off the tech year debuted a lot of new gadgets and concepts that we expect to see more of over 2018. 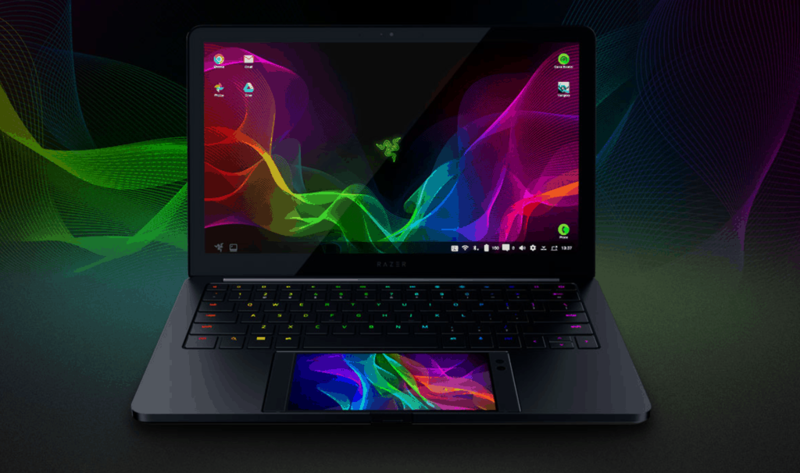 Razer revealed Project Linda at CES 2018, which turns the Razer Phone into an Android laptop. It does this by slotting the phone into the trackpad area of the laptop. When connected, users can enjoy a mouse and keyboard experience on Android, alongside a quick recharge of their mobile and additional storage. Razer has been looking for ways to enhance the Razer Phone experience for customers. Project Linda is still concept stage and Razer is looking for feedback. A few of its other female-named projects have entered into the development stage, but it isn’t certain that this one will. 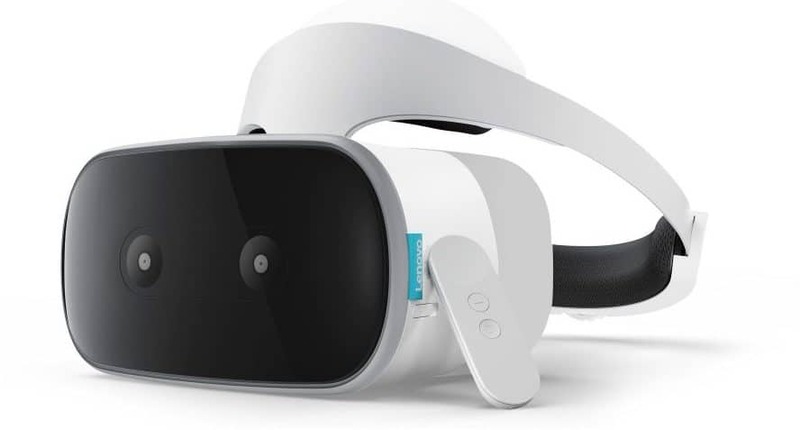 Lenovo announced the first standalone Daydream VR headset at CES 2018, a few months delayed from its original confirmation at Google I/O in May. The Mirage Solo will not require a connected smartphone to work. 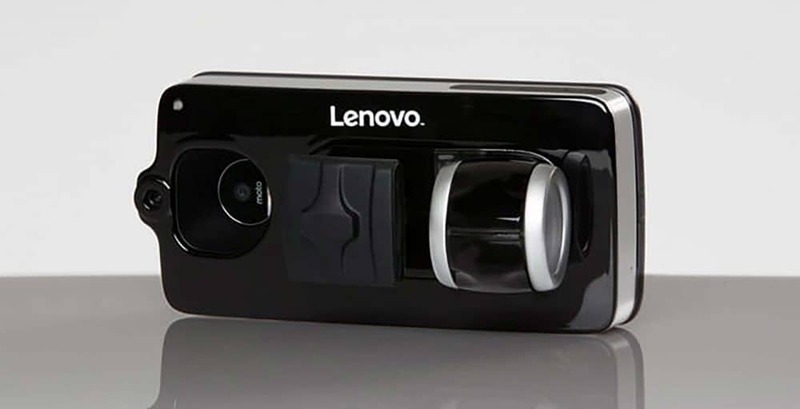 Lenovo has added Worldsense Tracking, using two cameras on the front and one on the back to track body movements. Specs wise, the Mirage Solo sounds like a high-end flagship device. A Snapdragon 835 processor and 4GB of RAM power the device, along with 64GB of storage and 4,000mAh battery. A 5.5-inch QHD (2560 x 1440) LCD panel will display the virtual worlds. Price has not been revealed, although it will cost under $400 at launch. Motorola revealed two new Moto Mods for the Moto Z at CES 2018, one designed by its parent company Lenovo and other by Livermorium. Lenovo’s attachment is called Vital Moto Mod and lets users track heart-rate, respiratory rate, Pulse Ox, core body temperature and systolic, and diastolic blood pressure. A finger cuff with sensors attached reads all the vitals within five minutes. The mod will be available in April for $395. 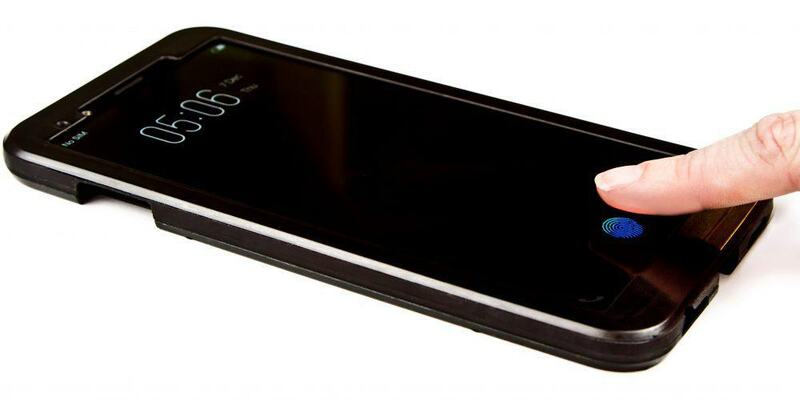 Livermorium launched an Indiegogo campaign to design a backlit Qwerty keyboard for the Moto Z a while back, and it is preparing to launch the mod late in the year for $99. The mod attaches to the back and slides up 60-degrees for a comfortable typing experience. Huawei announced the Honor View 10 at CES 2018, the company’s first smartphone to come to the United States. Sadly, at some point during the event, AT&T backed out of the deal, with rumored pressure from the U.S. government. 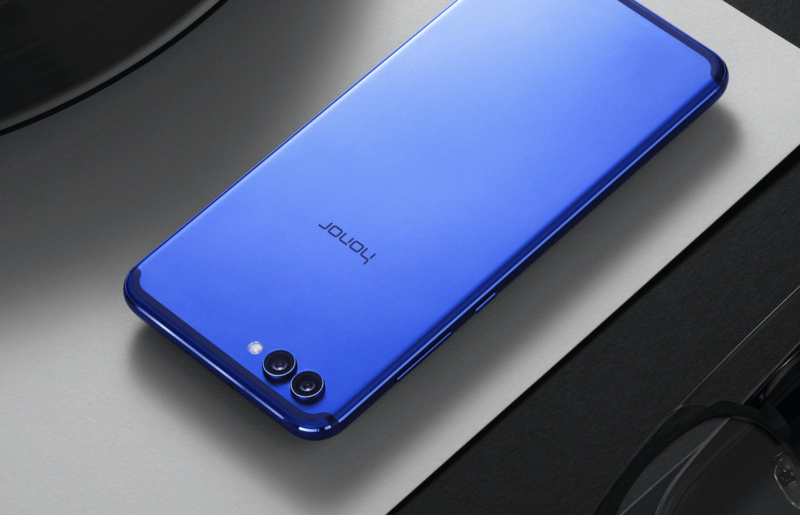 The Honor View 10 looks like a beast of a smartphone, with a 5.99-inch Full HD+ display, an octa-core Kirin 970 processor, 6GB of RAM, dual 12 and 20MP cameras and a fingerprint sensor on the front of the device. The smartphone will cost £449 in the UK and €499 in Europe. Every year a smartphone is revealed at CES with a feature unavailable on other devices. 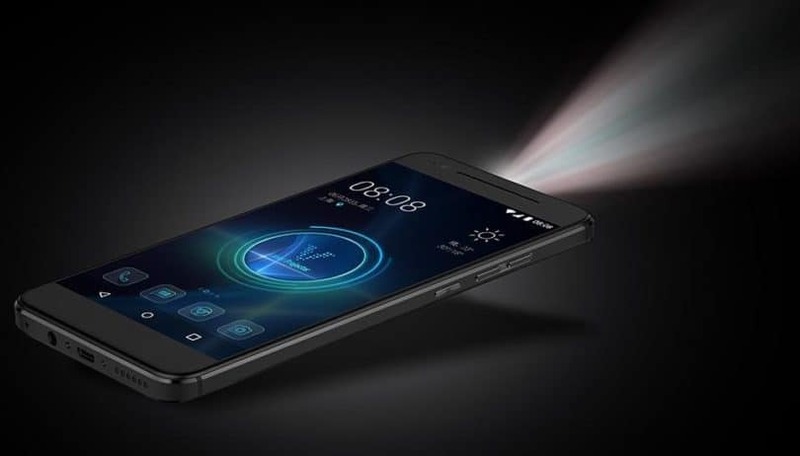 Moviphone is this year’s weird smartphone, with a built-in projector on the back of the phone. Moviphone runs Android and is able to blast a 720p video projection up to 200 inches in size diagonally. A 4,000mAh battery inside of the device is enough juice for two movies. Specs wise, it is not on the level of a Galaxy S8 or iPhone X, but should be capable of running video without much of an issue. It has a 13-megapixel rear, 8-megapixel front-facing camera and a fingerprint sensor. Moviphone will be available unlocked for $599. That’s a good deal cheaper than the other projector on the market, Motorola’s Insta-Share Projector Moto Mod, which costs $300 on top of the $400 base-price. 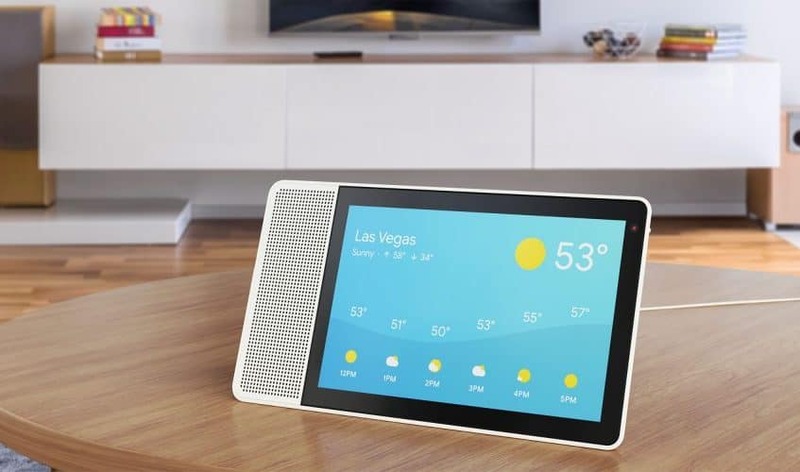 A few ‘smart displays’ running Google Assistant were announced at CES 2018, challenging Amazon’s Echo Show. Lenovo, JBL and LG all revealed units at the event, and Google said Sony is developing a similar device. Lenovo’s Smart Display comes in two size options, 8-inch and 10-inch. The 8-inch model is a two-tone plastic unit, while the 10-inch has a bamboo finish. Both feature a large speaker on the left, although a wedge on the back allows users to frame it vertically or horizontally. The two models will be available at $199 and $249, respectively. JBL’s Link View has a rounded design and focuses on audio quality, with two 10W stereo speakers for “rich, deep bass”. There’s also a 5MP camera on the device. 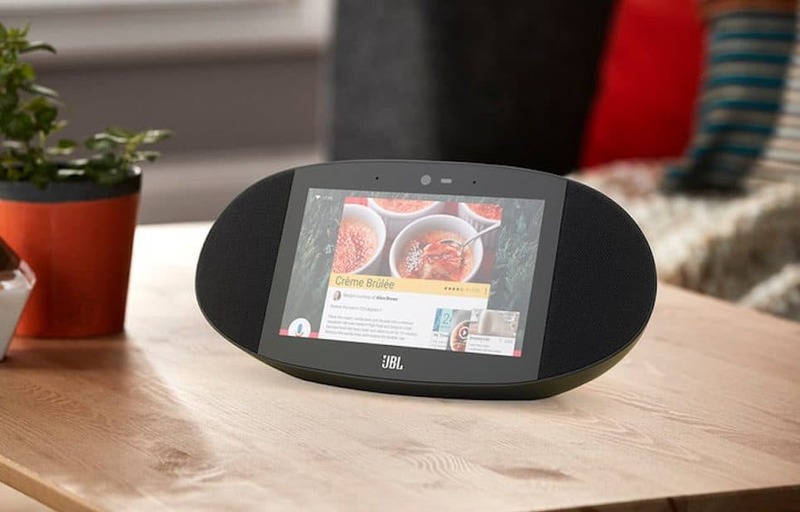 JBL has not confirmed pricing for the device yet, but said it will launch in summer. LG WK9 has a similar focus on good audio, two front-facing speakers provided by Meridian Audio. It did not reveal price or release date at the event. Sony is also working on a smart display, though we don’t know any details yet. Google also announced a new version of its mobile payments app, called Google Pay. It is meant to be Android Pay and Google Wallet combined. Users will now be able to pay for things and check balances on the same app. 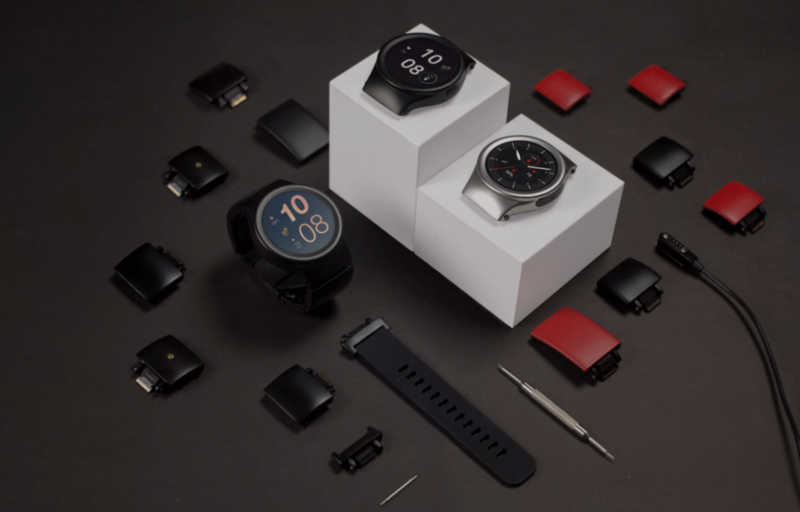 Crowdfunded wearable company Blocks showed off the new version of its modular smartwatch at CES 2018. The watch strap contains a few ‘modules’ that can be swapped out, giving users the choice of which features they want. One of the modules debuted at CES 2018 is an Amazon Alexa speaker. The smartwatch has Android Oreo 8.0 installed, so Google Assistant should be available out of the box, but those that prefer Alexa can swap assistants at will. Blocks still has no official release date for its newest version of the smartwatch. Google has added Assistant to Android Auto, the company’s in-car dashboard system. Users will now be able to connect their account, allowing them a seamless experience on all devices. Synaptics, the company behind the in-display fingerprint sensor, said it started mass manufacturing the component in December. Vivo is the first mobile manufacturer out the gate to confirm Synaptics sensor will be in one of its devices, available later this year. Vivo did not announce the device at CES 2018, but expect this to be one of many devices launched this year with the sensor. In tests, Synaptics Clear ID sensor is a little slower than Touch ID and other Android variants. Hopefully, by this time next year, that speed difference will have dissipated. What was your favorite announcement at the event? Let us know in the comments!